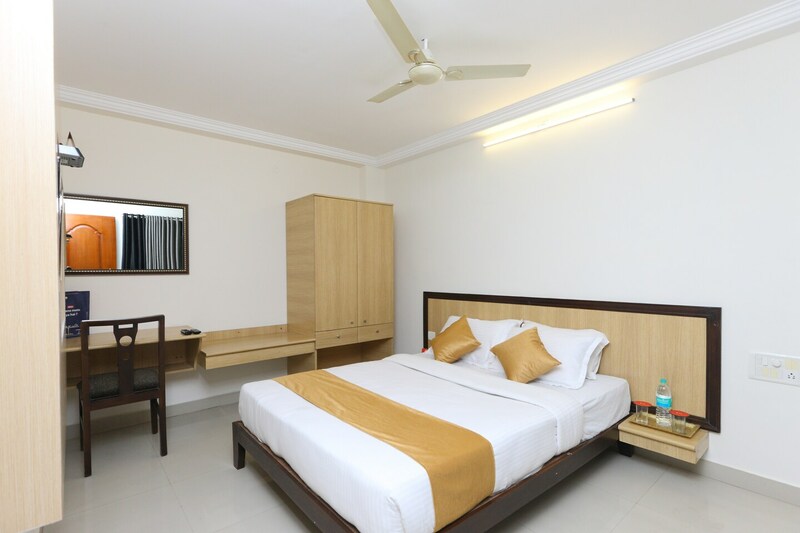 Half Moon is a comfortable and cosy place to stay when visiting Chennai. The rooms are spacious and well-ventilated with natural light streaming in from the windows. The wooden furniture in the room is modern and comfortable and provides a relaxing and pleasant stay. Dining area and in-house restaurant in the hotel can be used by guests to relax and unwind. Power backup and CCTV cameras ensure the security of the guests. Free Wi-Fi service is also offered by the hotel for guests to stay connected with social media. Parking facility is also provided for the convenience of the guests.